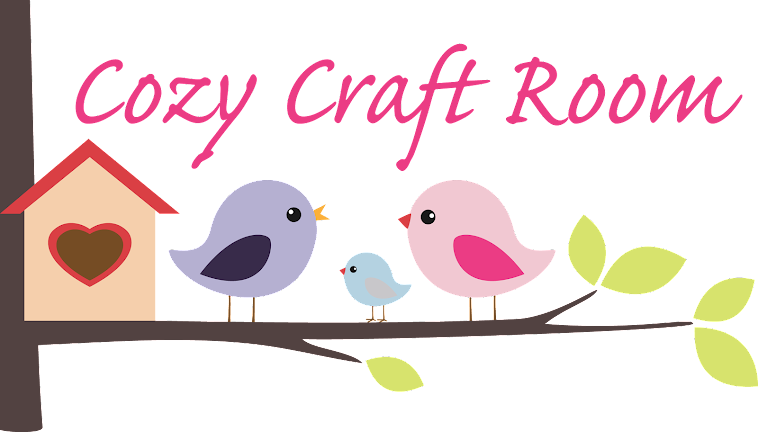 Cozy Craft Room: Sickness and an Almost New Project!! Nothing major just sinus, migraine, cough and that's just Me!! Hubby has sinus and headache!! I had great crafting plans, and had started a few projects before all this hit, only got a Birthday card finished Saturday morning for My Sister-in-Law before she arrived at lunchtime!!! I won't get a lot done this week with little Man still being sick and on midterm!! He wanted a Toy Cupboard that was on Peppa Pig which of course is not real!!! He said Santa can get any toy, to which I replied a Toy Cupboard is not a toy!! Thank goodness he agreed and that saved a lot of heart ache when Santa could not deliver!!! This is the front, I used Bo Bunny Blast Off 12x12 paper pack. I used 2 Tim Holtz hitch fasteners as little knobs on the doors. I couldn't make up My mind about putting His name on the left door. Might still go back and do it!! Inside view, I wanted to use a lot of the different patterns!! Another to show doors better! This is Evan, the minute I gave it to him he ran and gathered lots of His Peppa toys to play! A lot of the Peppa Figures all sitting to attention in their Classroom! I was so Happy that He liked it, I got over having to cut into My Paper Pack!! LOL!! I hope to be back in a couple of days with a new project. Thanks so much Emily, don't think i'll be doing that!!! LOL! !